Stevie Wonder wrote the black Happy Birthday song. … for Martin Luther King! All about Stevie’s greatest, corniest forgotten achievement. Photo illustration by Natalie Matthews-Ramo. Photo by iStock/Thinkstock Images. It’s tradition to sing “Happy Birthday” when celebrating a friend or family member’s entrance into the world. 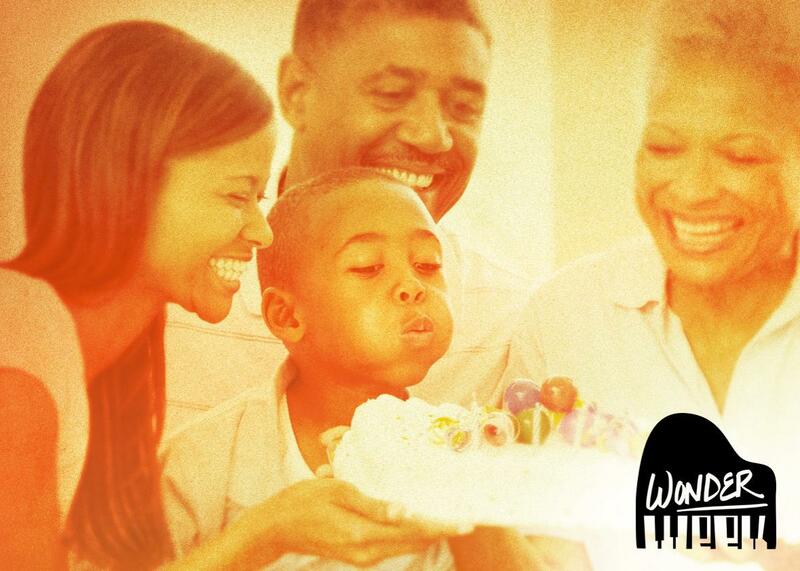 But for many black people, the familiar birthday song alone just won’t do. When serenading the guest of honor, they sing something completely different, a birthday song with a groove, while clapping and swaying side to side rapturously. Perhaps you’ve heard of this before or have borne witness to it—but there’s a good chance you have no idea about the black “Happy Birthday” song. Yes, the black “Happy Birthday” is real. Black people (me and my entire family, for instance) have been singing it at birthday parties for decades. Like the black Wizard of Oz, the black American national anthem, and the black Clark Gable, it’s infinitely cooler and more soulful than the white thing that may have inspired it. And we have none other than Stevie Wonder to thank for it. A bit of background: The synth-heavy track closed Wonder’s 1981 album Hotter Than July, but its origins lie more than a decade earlier, as detailed in a fascinating history of the song from Mark Baram at Medium. Within days of Martin Luther King Jr.’s assassination in 1968, black Congressman John Conyers introduced a bill to make the slain activist’s birthday a national holiday. Wonder quickly became the bill’s most prominent celebrity spokesman, and until the holiday was finally signed into law in 1983, he frequently performed at rallies and alongside Coretta Scott King to drum up support. A poll I sent to friends and co-workers confirmed I’m not the only one. Most of the white people who responded had never heard of Stevie’s “Happy Birthday,” but even the black respondents were mostly in the dark about the song’s origins. (Only 15 out of 43 knew who wrote it and whom it was written for.) “Happy Birthday” clearly sits alongside “Lift Every Voice and Sing” as a beloved cultural artifact that the majority of black people can only sing one very specific part of without finally turning to Google for help. Many of the white people I polled who were familiar with the song had encountered it not in a party setting but in an educational one: as a middle-schooler with a black principal; using it to warm up with a college a cappella group; while teaching at Chicago public schools. Respondents mentioned having witnessed impromptu singing in Harlem, South Africa, and Seychelles. One white respondent noted that Simon Pegg sings the song in an episode of his cult-favorite British sitcom Spaced. Regardless of their race, a good portion of respondents who were familiar with the song agreed that it’s the better birthday song. This is clearly true, since the traditional “Happy Birthday” isn’t even celebratory; it’s a staid musical obligation in the bleak face of aging. Stevie’s “Happy Birthday,” on the other hand, is joyful and raucous. It’s also incredibly corny. Maybe peak Stevie Corn, right alongside “Ebony and Ivory.” The verses are earnestly clumsy (“The whole day should be spent/ In full remembrance/ Of those who lived and died for the oneness of all people”) and the synthesizers are cheesy. Nevertheless, I’m glad that Stevie wrote it and that its chorus is still a signifier of kinship for so many black people. “No matter where the song is started,” one respondent to my poll wrote, “if someone else starts singing it, all black people in the vicinity join—whether they know the birthday boy/girl or not. It’s wonderful.” The fact that there are some nonblack folks who have been exposed to it is also great. It’s a testament to Stevie’s legacy that, around the world and all year ’round, he’s able to bring strangers together with a song written to honor someone who lived his life trying to do exactly that.